WHAT ELSE LURKS BEHIND THE SNP'S FETID TARTAN VEIL?. 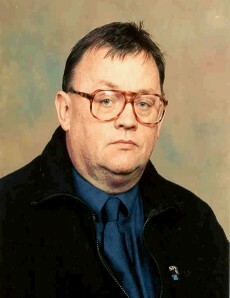 Billy McAllister snp councillor has been suspended for making alleged bigoted anti homosexual remarks. The snp will be hoping that their actions here will divert people from their squalid record on this issue. In 2011 snp MSP John Mason moved an anti Gay motion in Holyrood. Alyn Smith snp MEP bravely broke ranks at the time and said the following "What is in the small, mean, angry heads of bigots is a matter for them. I never asked for their approval, but I demand equality". Congrats are also due to snp MP Pete Wishart, who back then actually had some principals, he described the snp's John Mason's move as a "nasty little anti-gay marriage motion", this repellent motion was supported by snp MSP's Bill Walker (remember him? ), Dave Thompson and Richard Lyle. The snp's record on Gay rights is appalling. Wee Holy Brian Souter, persecutor of the gay community Bankrolls the snp and they got him a Knighthood for his generosity. A motion which still stands at Holyrood I believe condemns the snp for doing business with the virulently anti gay Mormon Brigham Young University In Utah America. They (the snp) had a squalid little agreement with the American Mormon Peddlers of bigotry and hatred to employ their students as 'interns' for snp MSP’S at Holyrood. The shyster salmond also hawked what passes for his ‘principles’ around various ‘Christian’?, groups to find loop holes which would allow him not to offend them over the issue of Gay adoption rights. If Mr. McAllister's actions shine a light on the snp's dirty little secret it would be a good thing. NEIL FINDLAY LABOUR MSP PUTS THE LEFT VISION FORWARD. As Scotland enters the post-referendum era with a new First Minister in waiting and a political landscape still reverberating from the decisive rejection of independence, the Scottish Labour Party now faces a number of challenges. While the media focuses on the growth in membership of the SNP and the Greens — not without its challenges — or the creation of yet another new left party (what a novel idea that is), Labour has to respond and respond quickly to the new terrain. For some the answer lies in the further devolution or independence for the party in Scotland or some other bureaucratic or organisational changes. Necessary though organisational change is, the most pressing response required is a political one. And I would argue — following the massive turnout at the referendum — that anyone who thinks that we can take on the SNP from any other position than firmly to their left needs to re-enter this world from cloud cuckoo land. These are policies that will have an impact on people across Scotland — especially those who have been victims of the Tory class war on the poor and who those who have been left behind as the SNP try yet again to be all things to all people. We should remember that the SNP is vulnerable for that very reason. It has not protected the NHS. It has failed to use its powers of procurement to enforce the living wage. It has made no commitments on workers’ rights beyond talk about partnership. It has taken no action on blacklisting. It still sees economic growth in terms of cutting taxes on big business and the super-rich. Even its most recent policy announcement on a land and buildings transaction tax trails behind that already announced by Labour. Labour proposes an annual tax on mansions while the SNP will simply impose a tax when properties are sold. Those on the left should remember this. The SNP is not a social-democratic party. It is a nationalist party that is at the same time populist. It seeks links with the trade union movement — but also with big business. Its economic policy documents show it to be essentially neoliberal, ultimately defending the privileges of the market. This is the open goal for the Labour Party. Policy is the key to our future success — let’s start to build that radical policy programme now. Neil Findlay MSP is the Scottish Labour Party’s front-bench spokesperson for health. TIME FOR COMMON SENSE TO BREAK OUT COMRADES. At times like these we need the unions, that is why they are under such attack from the right wing Tories, UKIP and the snp, the former two do not try to hide their hatred of the trade union movement and the latter one, the snp try do to hide their hatred of the Unions but their hatred is such that it is impossible to disguise it. I think this is a prudent time to once again paraphrase the immortal "Reg" the leader of the 'people's front of Judea' or was it the 'Judean people's front' when I ask you to have a look at the poster below which speaks for itself and say "OK then what else have the Unions ever done for us, tell me that, just what?. (if your eye sight is like mine, left click on the poster to increase it's size). HERE IS SOME INFORMATION THAT THE TORIES, UKIP AND THE GUTTER RIGHT WING PRESS WOULD PREFER YOU NOT TO SEE. When The Daily Mail, The Sun, The Express, The Telegraph and the other Tory right wing media rags push out their racist and dishonest headlines which are designed to deliberately create false impressions we should look harder at what these low life journalists are saying. The article below is a good starter and it nails their lies and the contempt that they have for the truth. 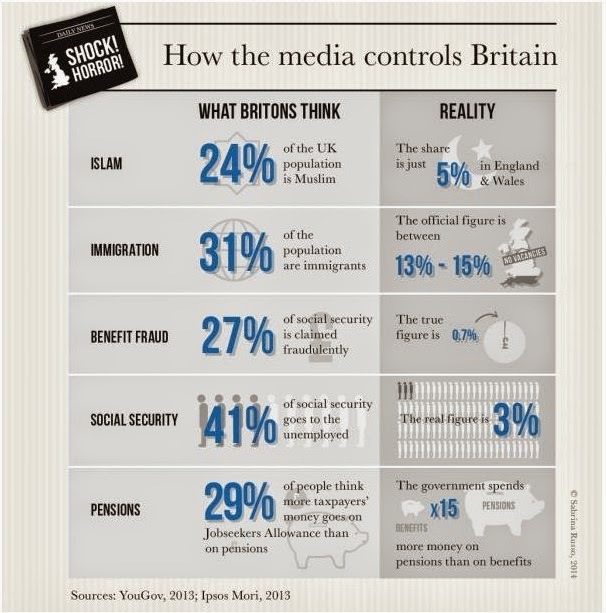 Unfortunately, UK government ministers and the right-wing press have made sure that we are misinformed about (almost) everything – here is the result. 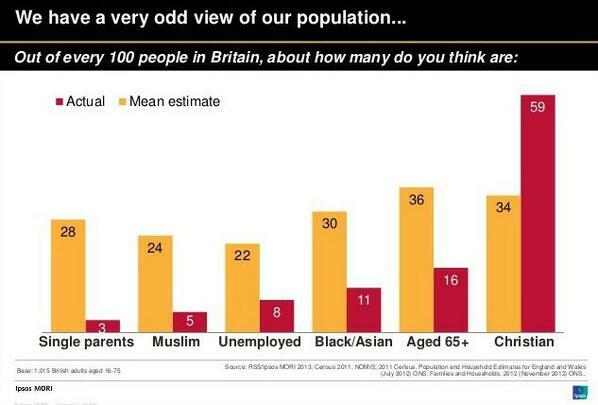 The chart is the result of an Ipsos.MORI poll examining the difference between peoples’ perceptions (mean estimates) and reality (actual) when asked questions about the UK population. A QUESTION FOR NICOLA STURGEON ! The snp are on the run again from a perfectly straight forward question which I have been asking them. It could hardly be more simple yet no one wants to address it from the nationalists who have gone uncharacteristically quiet. When Gordon Brown was appointed Prime Minister a huge, no doubt orchestrated snp cacophony of abuse was directed at him and Labour based on the fact that he was appointed without a vote. They have since then continued to accuse him and Labour of being undemocratic, totalitarian, dictatorial and much more since that day, insisting that he should never have been recognised as PM because he was not voted in to that position. 3 days ago those accusations ceased. 3 days ago the snp appointed Nicola sturgeon without a vote and not one snp member, elected official, councillor, MSP, EU MP or even supporter has raised a voice in protest, not one. What has happened to their democratic outrage? Their wrath? Their righteousness?. Is this an unprecedented outbreak of amnesia?, a massive collective head injury?. Or Is it in fact an embarrassing example of synthetic rage and hypocrisy, will anyone answer me, sturgeon must be ‘de facto’ undemocratic, totalitarian, dictatorial, right?, surely we are entitled to have this anomaly cleared up by the snp. What a way to begin a career as first minister and leader of her party, how can we the people of Scotland take seriously someone who runs away from such an obvious position of cowardice and mendacity. "THE OLD WILL DIE AND THE YOUNG WILL FORGET" DAVID BEN GURION. The above quote from David Ben Gurion Israel’s first Prime Minister was his response to accusations (which he acknowledged) about Israel’s occupation of Palestine and their atrocities against the indigenous Arab peoples of that beautiful peaceful country. Well, “the old” he referred to are indeed dead as is he, but what of the young? have they forgotten?, I leave you to judge. Today the beleaguered Palestinians and millions across the world are celebrating a victory for justice and a triumph over evil as the Westminster Parliament voted overwhelmingly last night to recognise the State of Palestine. Israel and its Zionist war criminal leaders will be livid, they will try to undermine the seriousness of this vote but, make no mistake about it this is hugely significant and a huge blow to Israel. Public opinion is changing and has been shifting against Israel for some time now. Israel’s most potent enemy is not Hamas or any other military threat it is publicity. The all seeing eye of the ubiquitous camera and the courage of the people using the cameras, the unforgiving and relentless photographic evidence, the eye witness accounts and detailed stories of indiscriminate atrocities being committed by them against non combatants is what will finally destroy them, just as it did America in Vietnam. The iconic picture of the tiny naked Vietnamese girl fleeing in terror from the American napalm attack damaged them more than the Viet Cong ever could and Gaza today echoes that situation, how many people are there like me who instead of picturing olive groves and peaceful scenes picture a small boy throwing a stone at a tank when they think of Israel?. This is a small but important step forward for Palestine but there is still a long way to go. More and more people are realizing that Israel is running out of friends, more and more people are refusing to visit the country or buy its produce; they are becoming international pariahs who slaughter Palestinians at will as the past 3 conflicts in Gaza have shown. They talk about peace while annexing Palestinian land, building illegal settlements and refusing to obey the UN and the world courts. They refuse to allow the right of return of refugees, they refuse to return land taken by war, they refuse to agree to East Jerusalem belonging to the Arabs and they confine the Arabs behind an apartheid wall. The state of Israel is a match for any brutal and tyrannical country that ever existed. Eventually they will be defeated and justice will prevail. Meanwhile I urge everyone to have no dealings of any kind with them. WHEN YOU AVOID VOTING IT'S NOT REBELLION IT'S SURRENDER. The heading above this post "when you avoid voting it's not rebellion it's surrender" is from my American correspondent in Chicago who keeps a forensic eye on politics in the USA and here in his native Scotland. Salmond is running out of time for telling lies, 'ergo' there is a light at the end of the tunnel. His latest underhand scam is to portray the people who avoided paying the poll tax as some kind of heroes or rebels he want's their votes so it's another bribe like the council tax freeze and other freebies for those who can well afford to pay. I have no quarrel with people who disagreed with the poll tax or people who protested against it, I personally was the Chairman of the Shortroods anti poll tax association here in Paisley and like most others I ended up paying it but we did not fail, it destroyed Thatcher after all. When we are considering salmond's intention to grant an amnesty to those who did not pay we must consider what happened to those who in fact did avoid paying, what punishment if any did they receive for breaking the law?. How many non payers do you know who were charged?, I don't know a single one, all those I knew paid it despite their hatred for it, that is because they knew that it was the right thing to do. They knew that no one has the right to refuse to pay a tax which is legal and democratically levied no matter how much we despise it. If we say it's all right to refuse to pay such a tax how do we deal with the billionaires who dodge paying taxes?, is it now OK according to salmond for Michael Anthony Ashcroft, Baron Ashcroft, KCMG PC AKA "Lord Ashcroft " the multi billionaire bank roller of the Tory Party not to pay taxes?, no matter how you slice it it certainly looks that way. For those who refused to pay and faced charges I have respect, for those who refused to pay and went "missing" I have no respect, they abdicated their right to vote so that they could avoid paying, they sold their democratic rights, rights which were secured for them by hundreds of years of sacrifice and struggle. Mr. salmond is leaving still showing his contempt for the Scottish people, by bribing them, he thinks we are all as bent as he is. "You cannot hope to bribe or twist (thank God!) the British journalist. But, seeing what the man will do unbribed, there's no occasion to." Humbert Wolfe. Here is something that never changes. Lies are told constantly by the right wing media to portray their view of the world, a spun story, an oft repeated rumour, lies and innuendo, they are all the stock in trade of the Capitalist media journalist. The result of this constant barrage of propaganda is that many people, most of them honest and decent form, through no fault of their own a consensus of opinion about societies so called 'problems' and, more importantly who is to blame for them.This supply of misinformation comes in many forms from across a wide range of sources as disparate as the BNP and SNP with the former blaming blacks and the latter blaming the English all the way to the "quality" newspapers and commentators. The table below is an example of where this can lead and then consequently lead on to division and ill informed prejudice. Don't be fooled by them, check whatever they tell you, then check it again. I read once about a young man who had left home and when his parents wrote to him asking questions about how he was getting on, what his accommodation was like what job was he doing etc. He wrote back saying that he had a nice flat and he was working as trader in child slavery, he thought this would be preferable to admitting to them that he was in fact a journalist. PAY YOUR TAXES, THAT'S THE SOCIALIST WAY. This poll tax pursuit development is interesting if you want to try to gauge the grasp that the snp members have on reality. We have a group of people who dodged the Poll Tax and a larger group who paid it, most of them reluctantly. Very few of those who opposed it actually did so in the face of the law most disappeared without recourse to the barricades. The snp now in their undignified scramble to appear left wing are posturing and rattling their sabers against the injustice of the tax as we all did back in the day. I believe 100 % in paying taxes, taxes are a sign of civilisation, fair progressive taxes even more so. That it (the poll tax) was an iniquitous tax IMO is indisputable and that gives it's opponents two clear choices 1/ pay it, and 2/ don't pay and face the sanctions, notwithstanding protest and argument. 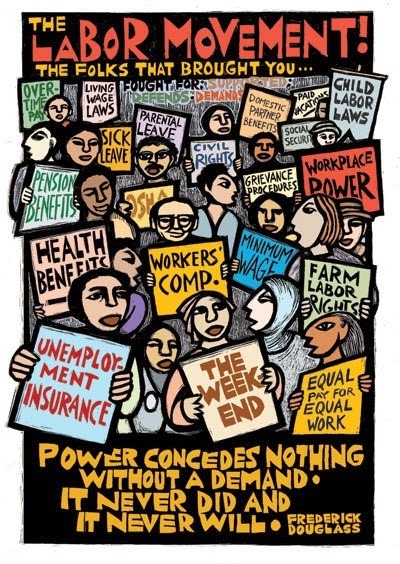 Refusing to pay and going underground is not an option because others have to pay it, it is like the strike breaker who accepts the pay rise that his work mates fought for, it's simply not on it's about unity and solidarity. How do we maintain any united front if we say to working people I hated the poll tax as well as you and I know we paid it but those who didn't pay and hid are to get an amnesty, that is not a recipe for building unity among people. I want to see a lot more money collected in taxes but lots of people would object to who I would take it from, you probably seen them on TV from Birmingham over the last couple of days but we must make fairness our watch word and that means everyone pays what the government decides we must pay and to get multi billionaires like Lord Ashcroft and the rest of them in the net we need to be the government. When we get something like the Poll Tax or indeed The Bedroom Tax we get rid of the government we do not run and hide. I would advocate that defaulters should pay but because of the time which has elapsed I would make those payments as manageable as is humanly possible. The snp have predictably accused others of chasing this money when the truth is that councils are obliged by law to pursue debt, snp councils will do it as well despite salmond pretending again to be ‘Wolfie Smith’. If we write to salmond and say, I don’t like that local council tax so I’m not paying it and I now know that you will support my decision, right?, aye F****n right!. This is beginning to look like another ‘Del boy’ salmond “in terms of the debate” scams.